For the 22nd consecutive year, Cuba has introduced a resolution at the United Nations General Assembly calling for the United States to end its 53-year economic war against the island nation. The ambassadors of more than 36 other countries have taken the floor to support the Cuban motion, which will be voted on shortly. 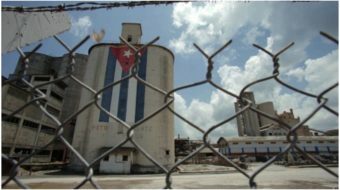 Information provided by Cuba shows that the United States government has not given up its main strategy, which is to do so much damage to the Cuban economy that the people will rise up to restore capitalist rule. That this plan has not worked in five decades does not daunt U.S. leaders. The Cuban document states that as of now, the U.S. economic boycott has cost the Cuban people $1,157,327,000, with at least $39 million last year alone. In spite of early hopes that the Obama administration would at least soften the policy, the blockade is becoming more intense and oppressive as the U.S. Treasury Department’s Office of Foreign Assets Control (OFAC) has become more active in blocking Cuba related financial and banking transactions. The United States claims the right to go after third country (neither Cuban nor U.S.) persons, institutions and businesses that trade with Cuba if they are linked to U.S. businesses. Given the increasing integration of the world’s financial institutions in which United States financial entities play such a huge role, this means that OFAC can target and fine more and more U.S. affiliates for the business their parent companies do with Cuba. The Trading with the Enemy Act – extended by President Obama last year – the Torricelli Act and the Helms-Burton (Cuba Democracy) Act, plus the absurd listing of Cuba as a “state sponsor of terrorism” constitute the backbone of U.S. Cuba policy toward this nation of 11 million. 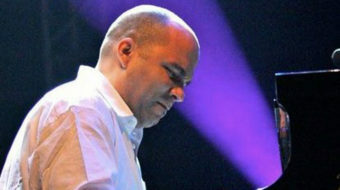 * A British not-for-profit organization, the Cuba Solidarity Campaign, tried to buy 100 copies of Salim Lamrami’s 2013 book The Economic War Against Cuba: A Historical and Legal Perspective on the U.S. Blockade, which was published by Monthly Review Press in New York, to distribute in their solidarity work in the United Kingdom. However, the financial transaction for the purchase of the books, which entailed both Chase Bank in New York and the Cooperative Bank in Britain, was stopped by OFAC, which demanded that the British organization explain to the United States government what its relation to Cuba is. The plan was not even to send the books to Cuba, but to distribute them in the United Kingdom. 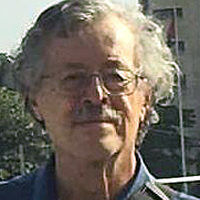 Lamrami, a French citizen, has frequently criticized U.S. Cuba policy. * Several third country banks and insurance companies have told Cuba that they have to cancel their accounts and policies with Cuban entities, because U.S. businesses to which they are linked fear that if they don’t, they will be fined by OFAC. One Japanese bank, Tokyo-Mitsubishi UFJ, was fined $8,571,634 for processing fund transfers with Cuba. * The Cuban embassies in Botswana and Namibia found that the automobile insurance of their personnel had been cancelled, because the insurance company had been bought by a U.S. company. Third country banks go along with this nonsense because under OFAC rules, if they do not cooperate with the blockade their assets in the United States could be confiscated. Cuba is famous for its state of the art health care and health research work, and for the help it provides to other poor countries in health care, including the training of thousands of doctors. However, there are things that Cuba cannot do in the health care field, because of the ever-vigilant OFAC snoops. Cuba cannot acquire certain types of advanced health care, diagnostic and surgical equipment, or has had to pay extra for equipment that lacks the 10 percent of U.S. origin materials or parts which makes the blockade kick in. Cuban health care professionals are forbidden from attending some international health meetings and seminars, because part of the expenses of these activities are being paid by U.S. institutions or non-governmental organizations, who could be fined. Cuba is supposed to be able to buy some food from the United States, but cannot do so on normal credit terms other countries are afforded, which drives up the costs. Naturally, Cuba is not allowed to sell its products in the United States, even medical innovations that would be helpful to U.S. people. In addition, the embargo hinders U.S. business. 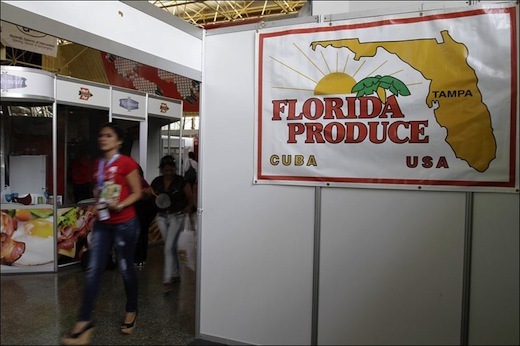 Recently, a group representing 11 Midwestern state governments voted in favor of lifting the Cuba trade restrictions, which hurt the economy of this agricultural-rich region. According to the resolution, if the restrictions were ended each of these states could average between $60 million to $150 million annually in additional trade. Cuba considers that these actions, aimed at the entire Cuban people, fit the U.N.’s official definition of genocide. Last year and previously, the U.S. ambassadors to the United Nations have always contemptuously denied that the blockade is harming the Cuban people at all. This year, the U.S. ambassador is Samantha Power, of “humanitarian intervention” fame.